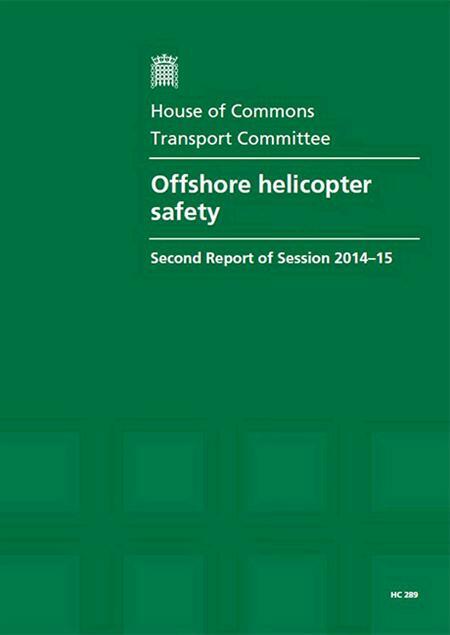 The report 'Offshore Helicopter Safety (HC 289)' concludes that a full, independent, public inquiry must be convened to address whether commercial pressure from oil and gas companies affects the safety of offshore helicopter operations. This inquiry must also examine the role of the Civil Aviation Authority. The Air Accidents Investigation Branch (AAIB) investigation into the Sumburgh crash uncovered a number of serious issues. In particular, AAIB found pre-flight safety briefing did not accurately explain how to use the type of Emergency Breathing System supplied on the helicopter. (iv) The Government must push the European Aviation Safety Agency to implement changes recommended by the AAIB more rapidly. In addition, the Committee urges the AAIB to keep crash survivors better informed on the progress of investigations in future; and for the CAA to meet survivors to hear their experiences and to consider their suggestions for safety improvements.